The Cooper Union Retraining Program for Immigrant Engineers assists immigrant engineers and IT professionals who are underemployed or unemployed gain access to higher paying jobs through training and job placement assistance. The program includes courses in information technology and mechanical, electrical, and civil engineering taught by Cooper Union faculty and field experts. All courses are scheduled around the needs of working professionals during evenings and weekends. Since its inception in 1987, the Retraining Program for Immigrant Engineers has placed over 3,000 immigrants into professional careers. All student services are managed by the Workforce Development Department at CAMBA. The partnership with CAMBA, one of the leading nonprofits in New York City, allows us to provide a wider array of support to our students, employers and partner organizations. Cooper Union continues to provide all academic services under the leadership of Professor Fred L. Fontaine. The program offers around 20 courses each semester designed to bring engineering, computer programming, and business management skills of participants up to date. Over the years, the course offerings have been flexible in response to the demands of the labor market and the needs of the students. Courses are held at The Cooper Union's Albert Nerken School of Engineering. Courses are offered in fall and spring semesters. Participants receive about 30 hours of course time per session. See our Course List and Schedule for current offerings. The program welcomes all work-authorized immigrants, seeking retraining in the fields of engineering or information technology. Students must have formal training (minimum of a Bachelors’ Degree) and work experience from their country of origin. Experience must be related to the area of retraining at the Cooper Union. All services are free and admission is competitive. See our application information page for more information and to apply. Are you hiring and interested in highly skilled global talent? 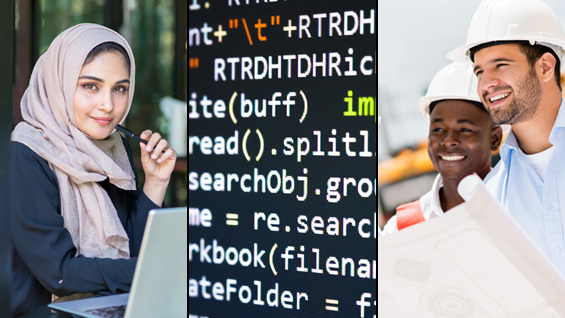 The Cooper Union's Retraining Program for Immigrant Engineers works with highly skilled global professionals in Engineering and Information Technology. All participants are work-authorized, multilingual, university-educated job seekers, with several years of industry experience. By partnering with us, you will gain access to this pool of talented professionals. To learn how to make your company part of our program, contact Sangita Shrestha, Program Supervisor. Let us know how you are doing! Please take a few minutes to complete this survey and record any changes in your employment status. The Retraining Program needs to collect employment data in order to continue to provide free courses to immigrant professionals in the years to come. The information you provide is important to our fundraising efforts and helps us improve services and program performance. In 1987, Bnai Zion initiated a program under its Scientists Division to help scientists and engineers who immigrated to the United States from the former Soviet Union to find jobs. At first, classes were given at the Bnai Zion House, but the number of students soon outgrew the space. In 1991, Bnai Zion formed a partnership with Cooper Union to run the program on a larger scale. In 2015 the program moved entirely to The Cooper Union. In 2016 a partnership was formed with the Workforce Development Department at CAMBA and now serves over 225 students a year. For more about the past, present and future of the program see, A Foundational Commitment Continues. Committed to enhancing the lives of the immigrants and citizens of the Lower East Side, Peter Cooper, self-made inventor and industrialist, established The Cooper Union in 1859. Through its three top-ranked schools - the School of Art, The Irwin S. Chanin School of Architecture, and the Albert Nerken School of Engineering - The Cooper Union has built an international reputation for excellence and innovative approaches to education. The Albert Nerken School of Engineering is routinely cited among top three undergraduate schools of engineering in America by U.S. News & World Report. The school offers bachelor's and master's degrees in chemical, civil, mechanical, and electrical engineering.